Posted on behalf of Carl Dowling – part of the managing team at 75 & ZT Enthusiasts. MG Rover has now been gone for more than seven years. The cars live on but the numbers are starting to drop. What started as a trickle of cars making their way to the breakers yard is now turning into a flood and will, inevitably, become a torrent in the near future. 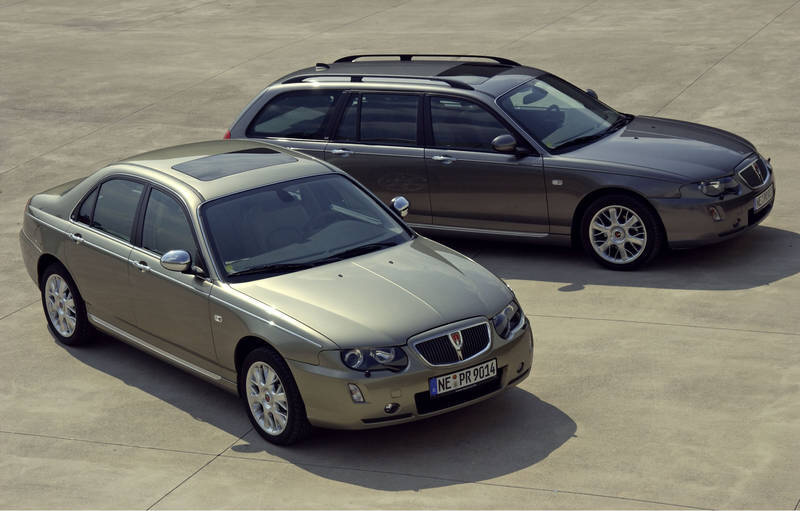 The current clubs related to the Rover 75 and MG ZT have done a brilliant job of slowing the decline through providing a wealth of information and advice to help owners keep their cars on the road. The problem is that, for many owners, these cars are a means to an end. A whole load of car for very little money, far better value than the majority of vehicles available second-hand….but, being cheap to buy does not mean cheap to run! When the clutch needs doing or the manifold starts rattling, or the belts are due, then the sub £2000 price paid doesn’t stack up so well against a bill for a quarter or even half of that again! Of course, these things can be fixed for much less if one is willing to dig out the overalls and get stuck in. That said; when it is your daily driver and you need it back on the road for Monday morning…this may not be such an appealing idea! Alongside this is the attrition rate due to more general neglect, accidents and water ingress. Our cars, simply put, are not ‘worth’ enough any longer for most people to spend much money on them. Yet, looked after properly, they will offer quality, comfort and reliability for years to come. Given the right support they could still be a common sight on the roads in another ten, twenty years’ time. The fear is, that with the myth of parts being difficult to find becoming a reality, garages becoming unwilling to work on the cars, or insurance companies writing them off because of age / expense. The more difficult side of ownership is beginning to emerge – and in a harsh economic climate when people have less disposable income, an old, complicated and increasingly difficult to repair car becomes a liability and no longer a pleasure to own. We are not quite at this ‘tipping point’ yet, that point where numbers on the road go into free-fall….but we are perilously close. If we leave it too much longer the list of NLA parts at Xpart or Rimmers and the like will begin to increase at an alarming rate. Equally, the current plentiful supply of cars being broken up will start to tail off as the numbers on the road reduce; at which point, second-hand parts prices will start to rise and even this avenue for keeping the cars going cheaply will no longer be open to us. If this all sounds rather grim and doom-mongering one only has to look at previous ‘popular’ models of cars over the last two decades to see that it is simply the nature of a car model’s life. At some point, the only ones left will be those which are owned by the real dyed-in-the-wool enthusiasts. It is against this backdrop that 75 & ZT Enthusiasts was conceived. The need to be doing more to ensure the long-term survival of the marque was uppermost. 75 & ZT Enthusiasts are an active, practical and supportive group that will be facilitating and putting funds towards the emerging (and much needed) ‘cottage industry’ of parts improvement / replacement, electronic research and development, parts sourcing / remanufacture and in the longer term, a parts repository and shop dedicated to long term ownership requirements. All this and the establishment of a national register of owners’ cars which can be used to negotiate small-scale parts production, discounts and other benefits to members. The previous reliance on disparate members to do these things and fund the development in the first place is something that needs to change. The folk, who do what they do for the love of the cars, need and deserve more support and encouragement, better access to fellow experts and information, a source of potential funding for projects and a membership who are looking to the long-term future of the cars. Some may say there is no need for such an undertaking, that things can carry on as they are for a while yet – they can indeed but the need to have something in place before things get difficult, before parts disappear off the shelves or sky-rocket and before the technical knowledge, know-how and experience drifts away is something that 75 & ZT Enthusiasts felt needed to be addressed today, to pre-empt future problems and to give us all the best chance of being able to continue to drive an icon into the future. This all makes us sound terribly earnest – which we are, but only where the cars are concerned! Aside from this 75 & ZT Enthusiasts exists for its members, as a co-operative undertaking that looks after those involved as well as the cars. We have strong links with other interest groups and plan to hold a variety of events, alongside our partners, to raise the profile of the cars but just as importantly to meet up, be sociable and have a laugh. Joining the 75 & ZT Enthusiasts is free. We are a donations-based organisation and contributions of time, expertise, fund-raising, practical support as well as cash are all welcomed.